Born Nils Collin in Sweden, Rev. 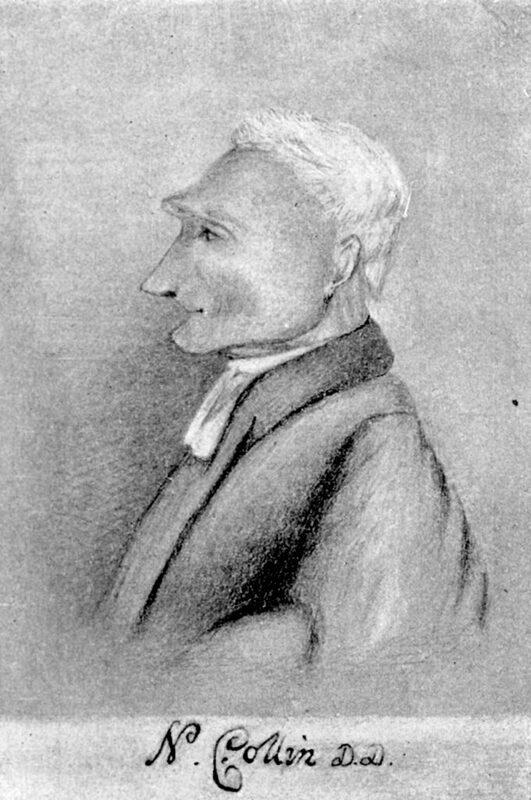 Nicholas Collin arrived in America in 1770. Pastor to several Swedish churches in New Jersey and Pennsylvania, Rev. Collin was best-known as the last Swedish minister serving the Old Swedes’ Church on the Delaware River. He was made a member of the American Philosophical Society in 1789. As the senior minister of the Lutheran Church in Philadelphia, Rev. Collin served as an ex officio member of the Board of Trustees of the University of the State of Pennsylvania (now the University of Pennsylvania) from 1784 to 1791.